Can You Really Ever Reach A Place Of Healing? When I was a child, I planned to save the world. The whole entire world. In 4th grade, my teacher shared pictures of an ocean filled with plastic bottles and soda straws. I committed to recycle. When I was in 10th grade my ecology teacher warned us of the plight of the timber rattle snake. I promised to care for their habitat. When I was 12 my parents watched a documentary on the orphan crisis in impoverished countries. By the time I was 16, they adopted my youngest brother from Bulgaria. I would never again be unaware of the suffering in the world. I knew without a doubt that I would make a change. When Mike and I first visualized foster care and adoption, we painted our vision with broad strokes. We thought of children without a home. We thought of the families who were unable to care for their precious little ones. We had some knowledge of what a child in need looked like. My grandfather grew up in foster care and my grandmother was adopted by a family member. My youngest brother was adopted at the age of 8. My beloved aunt was just a young adult when she made the difficult decision to place her newborn baby for adoption. For me, the portrait of adoption was filled with lovely colors. 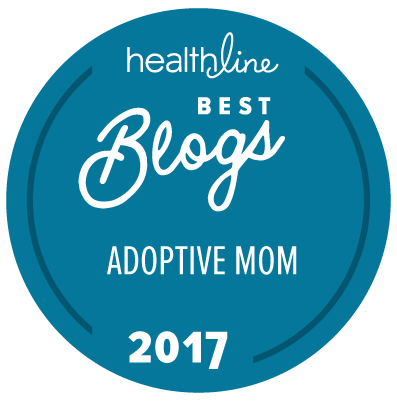 I recognized the loss involved but I also saw adoption through the lens of those I loved deeply. I could only see the beauty and love I had for those whose lives had been touched by foster care and adoption. At first, I glossed over the hard parts and placed adoption in a favorable light. At the edges of that beauty was something else, something blurry, jagged, broken and hard. The larger picture was there all along but it took becoming a foster parent for the rest of the picture to come into focus. We adopted our first daughter Jaala, at birth. She was 8 minutes old when I met her. Mike held her first while I counted her tiny fingers and toes. We were in awe of her. Her birth mom chose us out of all the waiting families at the adoption agency. We were honored beyond words and committed to love her deeply for our whole lives. When we carried her out of the hospital two days later, we were filled with joy. Immediately that joy was mixed with sorrow as we realized her first mother had left the same hospital with empty arms. That same year, a girl from our community, Rachel began spending a lot of time at our house. She was a honorary big sister to our daughter and a ton of fun to be with. Her dad passed away when she was 3 and her mom was very sick. She came from a deeply loving family who welcomed us with open arms. Two years later, we grieved her mother’s death alongside Rachel. We felt the loss deeply for ourselves and faced the reality that we were ill equipped to help Rachel heal. Despite our inadequacies, she continued to be a part of our family. She chose to consent to her own adoption at the age of 25. Her extended family welcomed our family in a way that was humbling. We learned that even those who desire to save the world, need to be accepted and loved too. Noelle and André joined our family the year Rachel’s mom passed away. Their parents were friends of ours who just needed some help. We agreed to watch the kids until they were back on their feet but found out that we had to get our foster license first so we scrambled to obtain it. Three months after the children went into foster care, we were able to bring them into our home. We were able to work alongside mom and dad toward reunification for years. It was our first encounter with the intricate struggle that those who come from poverty deal with. We were equally crushed and relieved when mom and dad consented to Noelle and André’s adoption after 3 years in the system. More than four years later, we legally adopted them. Krystal came to live with us when she was a young teen. We weren’t new to fostering teens and very much enjoyed having Krystal live with us. We felt torn as we watched her grieve the loss of her first family and thrive in our family at the same time. After 2 1/2 years in care, she asked to be adopted. Her adoption day was just two weeks before her 18th birthday. Eli, Jake were our greatest surprise. They were foster to adopt but we had to go through an interview process first. Four couples completed the interview which was done by their two biological grandmothers. They were lovely women. We felt immediately drawn to their story and fell in love with the boys before we even met them. To this day, Eli and Jake’s extend biological family is a part of our life. Sam joined our family “for the weekend.” As anyone from the foster care system knows, one should always take the estimated amount of time and add four years. We got to know Sam’s biological family over the next three years and grew to love them even as his case moved from reunification to adoption. He was adopted just before his 4th birthday. My once blurry portrait of foster care and adoption has become clearer now. In my painting I see the faces of those I love, they are bright and filled with light. I see the shadows too. I see addiction, poverty and mental illness. The shadows often try to overshadow the light. I no longer wish to banish the darkness because it is what creates the depth. The picture is clearer now, it’s deeper and more painfully beautiful than I ever could have imagined. I no longer plan to save the world. That is too lofty a goal. I see overwhelming need everywhere I look. I see the need in my own life as well. The steps to healing are just that, steps. With each step we love others. With each step we accept love. With each step we create change. These are the steps to good. Question: How have you found healing for both you, and your children, on this journey? Share with us in the comment section below You can leave a comment by clicking here. Editor’s Note: This post originally appeared in the Children’s Bureau of Indianapolis 2017 Annual Report.